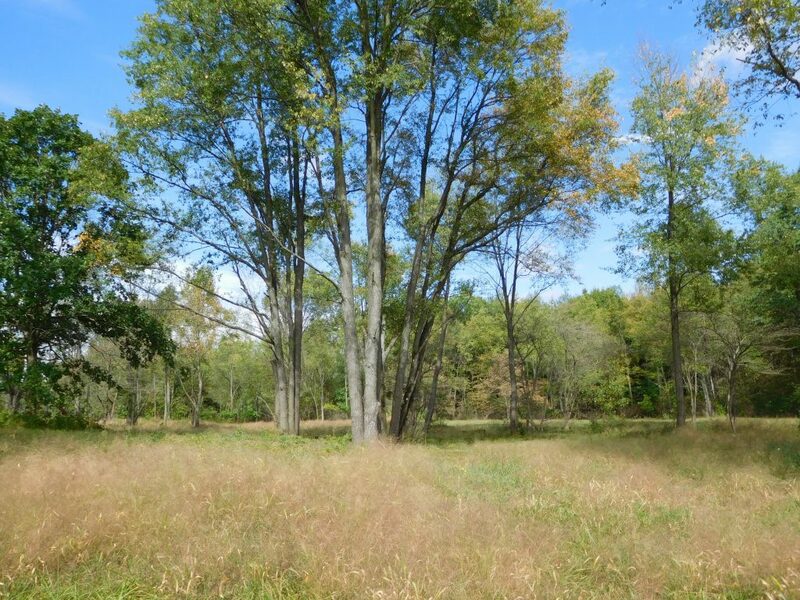 Once widespread throughout the Midwest, oak savannas have become an endangered habitat — something we’re trying to change at Big Rock Valley (BRV), our headquarters property in southwest Michigan. In case you’re not familiar with savannas, they are plant communities where trees exist but aren’t dominant, and they’re surrounded by grasses, shrubs and flowers. It’s a sort of middle ground between a prairie with no trees and a dense woodland. Savannas exist around the world, and tree species vary depending where you are. Baobabs and acacia trees prevail in African savannas whereas oaks rule in North America. In addition to their park-like aesthetics, oak savannas have great environmental significance. Because of the varying degrees of sun and shade, they provide greater plant diversity than woodlands or prairies. They’re also important to wildlife, providing habitat for many threatened and endangered species, such as the Karner blue butterfly and the red-headed woodpecker. Prior to European settlement, more than 25 million acres of oak savannas are thought to have existed across the Midwest. Yet today that figure has plummeted to less than one percent of the original ecosystem. The decline has resulted largely due to conversion to agricultural fields, but also to a lack of fire, allowing many savannas to revert to woodlands. What’s interesting about the Bohunk savanna is that it might have been an original savanna, speculates Jay Suseland, the foundation’s manager of ground maintenance. “The other areas have been more about replicating savanna conditions,” he explains, “but the Bohunk site could be a remnant savanna because of the strong component of oaks we found.” In addition to black, red and white oak species, the site also has open-grown oak — trees with large lower branches, which are a key hallmark of savanna habitat. 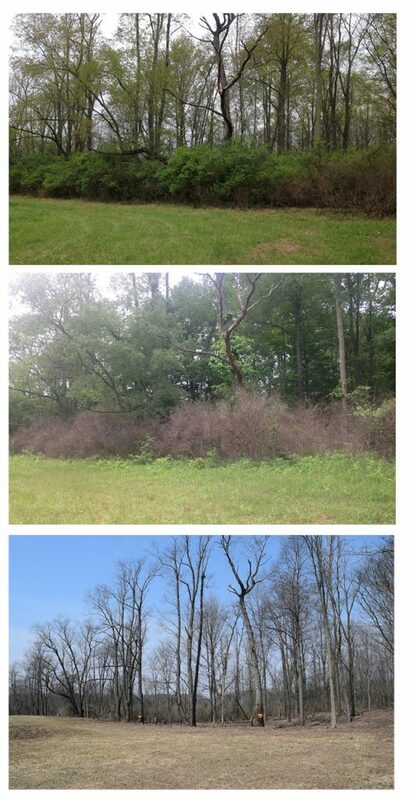 Top down, photos show an area of the Bohunk savanna before and after herbicide was applied to the invasive honeysuckle, and then after thinning and removal of underbrush. Restoring this area is no easy project, due to an invasive species of honeysuckle that had taken over. In fact, the honeysuckle was so thick, Jay compares it to a jungle. To clear the area, his team first conducted a prescribed burn, but the fire only penetrated a small portion of the tract. Their next move was to spray a herbicide treatment on the honeysuckle bushes throughout the 15 acres, which killed a large percentage of the invasive species. Earlier this year, they’ve been removing the dead undergrowth via brush-cutting and other mechanical methods. They’re also thinning cherry and red maple trees that have grown up among the oak trees. The goal is to open the canopy enough so that the oak can regenerate, which is tricky. “Once you open the canopy to regenerate the oak, sun-loving tree species and invasive plants must be managed or they outgrow the oak,” Jay points out. To help track the progress on the savanna, the foundation is using a drone to capture videos. The footage may also be a valuable tool in measuring canopy coverage and making management decisions. For example, how much tree canopy should be established? Savannas typically have canopies ranging between 10 and 50 percent, and more shade affects what types of plants grow there. One idea is to divide the area into different sections with varying percentage of canopy, which would provide a sort of outdoor lab for researchers. This could be helpful, because managing a savanna requires a balance of chemical, mechanical and physical resources. From our experience, there’s not one right answer. We’re learning as we go. 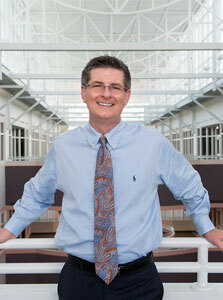 The goal is to develop best practices that we can share with other conservationists.